Westbrook High School senior Kelly Maguire and friends show off their Yuda Bands bracelets. In April 2017, Maguire and others raised over $1,000 for a Zimbabwean boy to attend school through selling the bracelets. WESTBROOK — While many high school juniors are most concerned about their college plans, Kelly Maguire spent last April fundraising to send a child in Zimbabwe to school. Maguire, a senior at Westbrook High School, was recently named a distinguished finalist by Prudential Financial, Inc.’s Spirit of Community Awards. The national awards, which honor young people for outstanding acts of service, recognized Maguire for her work with the nonprofit Yuda Bands. Maguire and the other distinguished finalist, Olivia O’Halloran of Yarmouth, will receive a bronze medallion for their efforts. When an American student starts a project, the company sends a shipment of either 100, 200, 300 or 400 bracelets to be sold at $7 each, giving the student a deadline of two weeks to sell as many as possible. More than half of the money raised then goes toward funding the education of a student living in either Zimbabwe or Guatemala; the other half of the organization’s mission is to create jobs for those making the jewelry. Before selling the bracelets, American students select a needy foreign student to sponsor through profiles available on the company’s website and meet them via a Skype call. Maguire said she first learned about Yuda bands through attending the Seeds of Peace summer camp in Otisfield, which aims to teach campers how to institute social change. She is also a part of a year-round Seeds of Peace Club at school, members of which were inspired to contact Yuda bands while looking for a service project to complete. 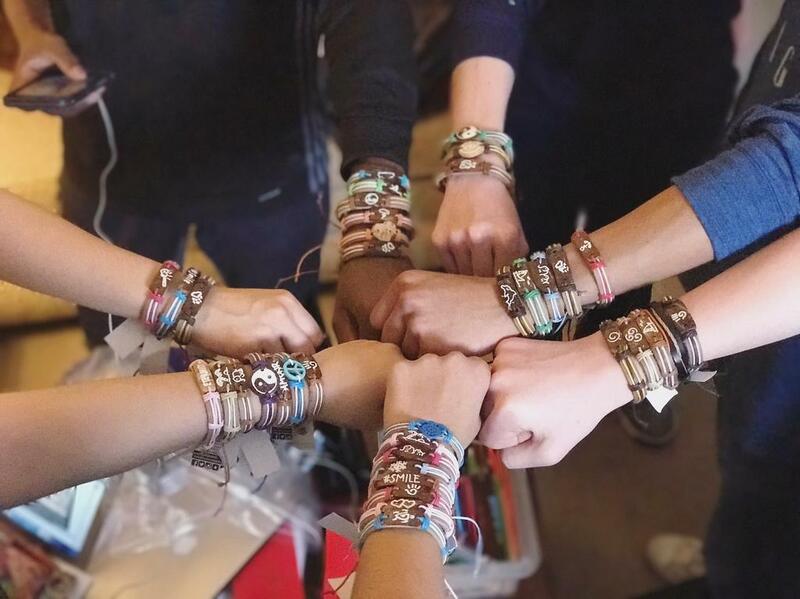 “Some of my friends in that club had heard of Yuda bands; basically our club was looking for a project to do and it was really easy,” she said. Bruce Dyer, the Seeds of Peace Adviser for Westbrook High School, said Maguire is a “compassionate and service oriented young woman who always thinks about others,” and that she organized fellow members to work on the Yuda Bands project. The Westbrook High group ultimately sold just under 200 bracelets during lunch periods, raising more than $1,000 to be put towards the education of a 12-year-old Zimbabwean boy named Henry. Maguire organized the effort, creating a stand for the bracelets to be displayed on, making announcements about the in-school sale, staying in contact with the Yuda Bands point person and keeping track of the money. She also put together a school assembly, during which Westbrook students got to Skype with Henry. “He got to talk to us, and the other students got to meet him, which I think that was the biggest (way to get the word out),” Maguire said. Maguire first got the community spirit bug when she was 14 and underwent a week-long stay at the hospital. She used her time there to help other patients. “I found that one of the biggest motivating factors was, I made tutus and blankets for the little kids, and that’s when I kind of noticed what was more important (in life),” she said. As for her own plans after graduation, Maguire said she hopes to eventually become a child psychologist specializing in art, animal, and play therapy. Her plan is to attend Florida Southwestern State College next year before transferring to Florida Gulf Coast University. After seeing the fundraiser’s impact, Maguire also said she would recommend launching a Yuda Bands project to any student or school seeking a service project. Westbrook High School senior Kelly Maguire and friends show off their Yuda Bands bracelets. In April 2017, Maguire and others raised over $1,000 for a Zimbabwean boy to attend school through selling the bracelets. In addition to organizing the fundraiser and keeping track of the money raised, Maguire also put together an assembly at Westbrook High School. 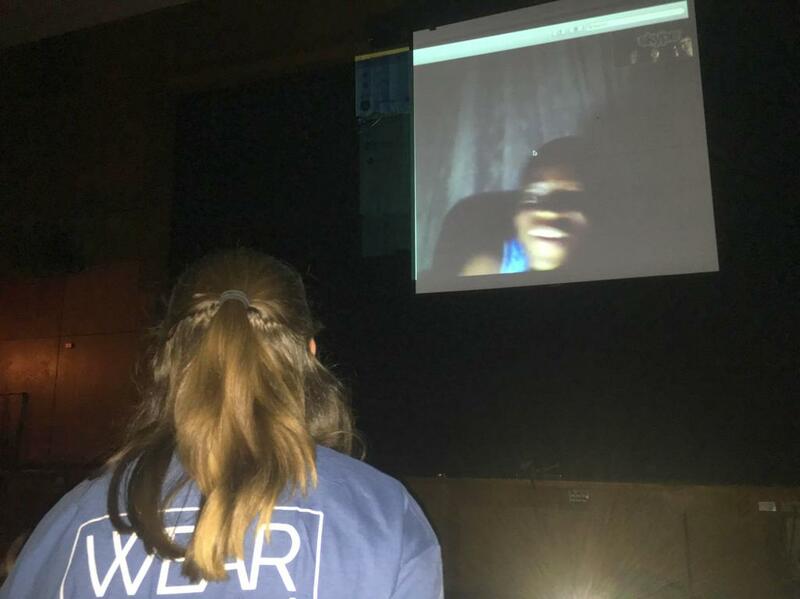 During the assembly, students Skype called Henry, the Zimbabwean student whose education the bracelet sale helped fund.